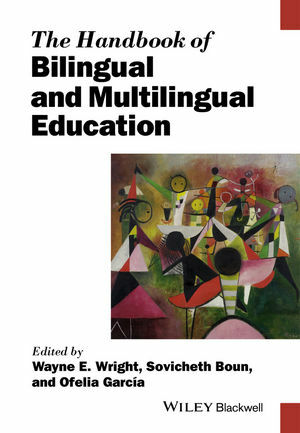 The Handbook of Bilingual and Multilingual Education presents the first comprehensive international reference work of the latest policies, practices, and theories related to the dynamic interdisciplinary field of bilingual and multilingual education. Wayne E. Wright is Professor and Barbara I. Cook Chair of Literacy and Language in the College of Education at Purdue University. He is Editor of the Journal of Southeast Asian American Education and Advancement and Book Review Editor of the International Multilingual Research Journal. His most recent book is Foundations of Teaching English Language Learners: Research, Theory, Policy, & Practice (2nd ed., 2015). Sovicheth Boun is Assistant Professor of ESL and Literacy in the Department of Secondary and Higher Education at Salem State University. His research interests include bi-/multilingual education and policies (in both Cambodia and the U.S.), language ideologies, language teacher identities, and K-12 schooling experiences of Southeast Asian American students. He serves on the Editorial Advisory Board of the Journal of Language, Identity, and Education. Ofelia García is Professor of Urban Education and Hispanic and Luso-Brazilian Literatures and Languages at the Graduate Center of the City University of New York. Her most recent books include Translanguaging: Language, Bilingualism and Education (with Li Wei, 2014), and Bilingual Community Education and Multilingualism: Beyond Heritage Languages in a Global City (with Zakharia & Otcu, 2013). She is Associate General Editor of The International Journal of the Sociology of Language.